The series is composed of three Town Halls around a theme of Learn | Discuss | Explore. All Town Halls begin at 6:00 PM and will take place in Stone Hall at the Vintage House Senior Center located at 264 First Street East in Sonoma. The City strongly encourages participants to attend all three forums, as the concepts, definitions and conversations build on one another. The “Discuss, Housing Experts Panel” is the second Town Hall in the series. 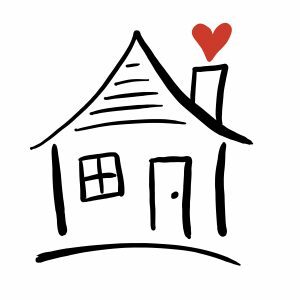 This session will feature a moderated panel discussion with experts who build and finance affordable and market rate housing – with a focus on practical, real world examples. The panel discussion will be followed by a moderated Question and Answer period. At this session, attendees will hear from practitioners who are delivering housing and see how the concepts shared in the first Town Hall work in our region. Light refreshments and childcare for school-age children will be provided so everyone can participate. The Town Halls will be recorded by Sonoma Valley Community Television and made available on the City’s web site and via Channel 27 for viewing after the events. 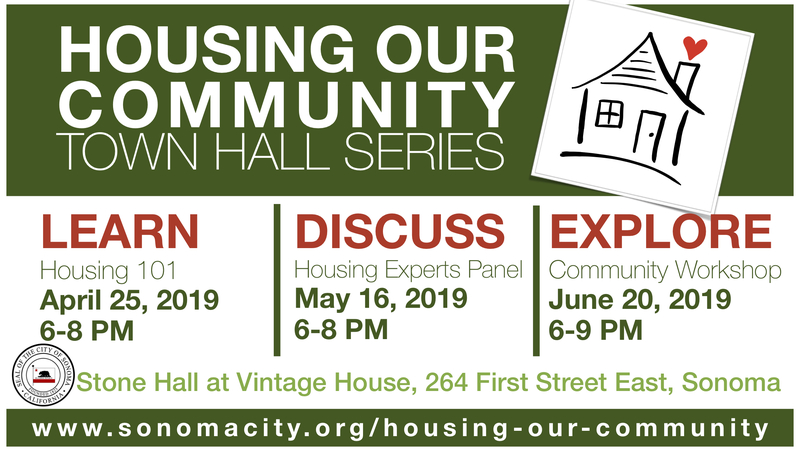 Reservations, though not required, are appreciated and can be made at https://www.eventbrite.com/e/housing-our-community-town-hall-series-discuss-tickets-60315597576.